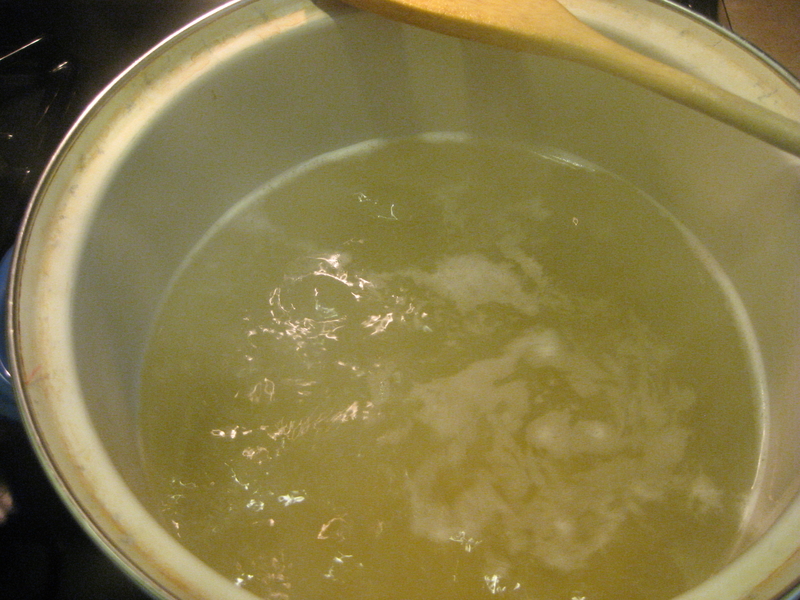 Fill your stock pot 3/4 full of water. Bring to a rolling boil. Add heaping tablespoon of salt. Pour in dry macaroni. Set timer for 6-7 minutes. 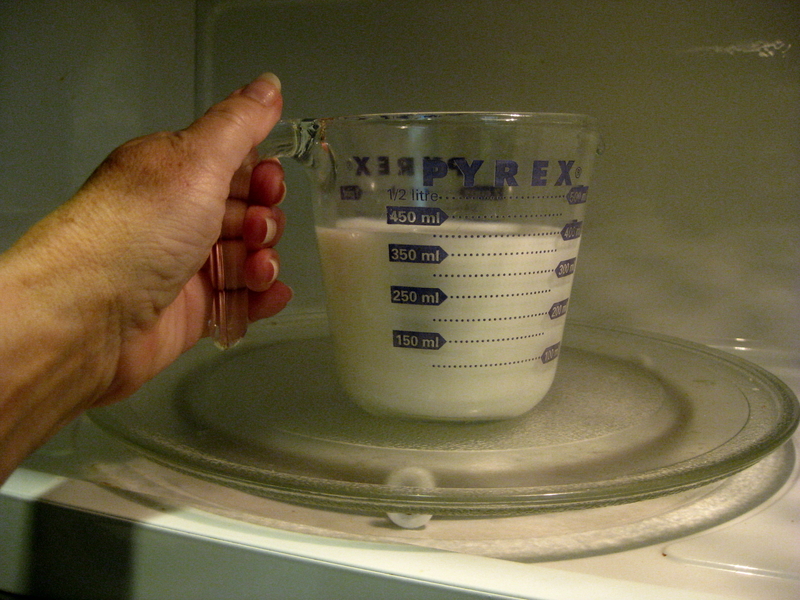 Stir regularly to prevent macaroni from sticking to the bottom of pot. 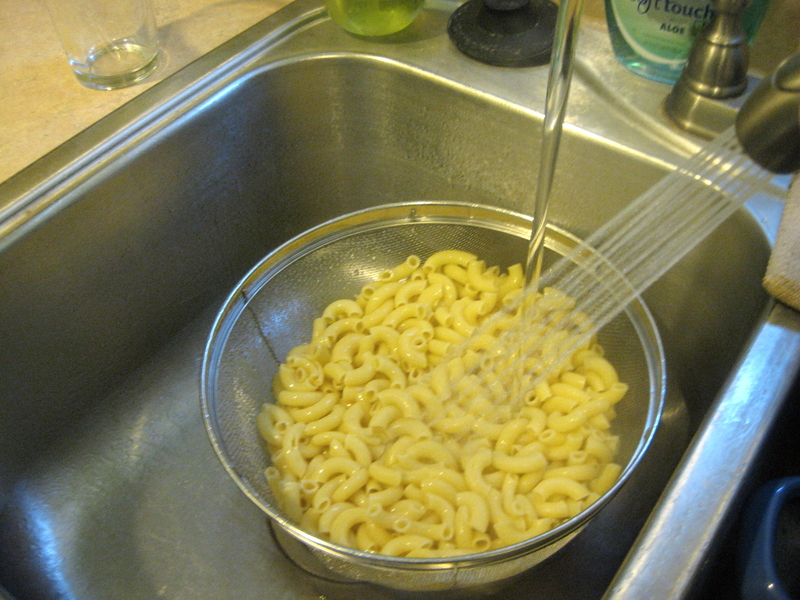 When macaroni is al dente (you’re going to cook it in the oven later), pour into the sieve in your sink and drain off water. Set aside. Heat Dutch oven on medium heat. Add oil and watch for it to “shimmer,” not smoke. When it shimmers, sprinkle flour into it and begin to whisk rapidly. Reduce heat to medium-low, continue whisking for 5 minutes, which is just enough cooking time to cook out the “flour” taste. 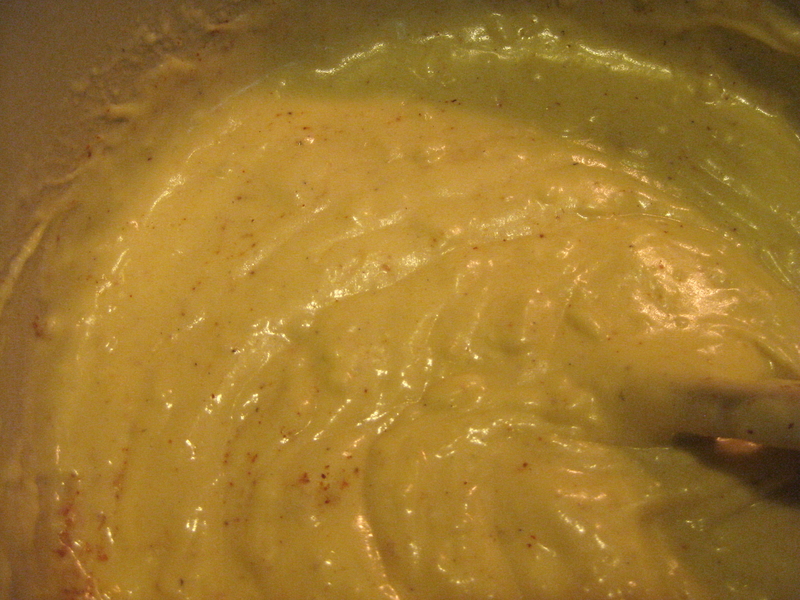 You don’t want this roux brown – this is the base of a white sauce. 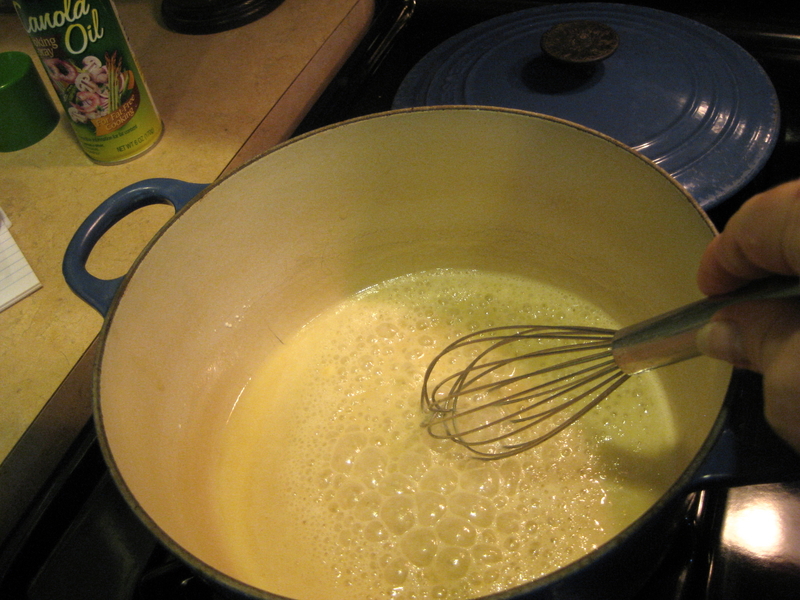 After 5 minutes, pour warm milk (remember to heat it in the microwave before adding it) into the roux and continue to whisk smooth. 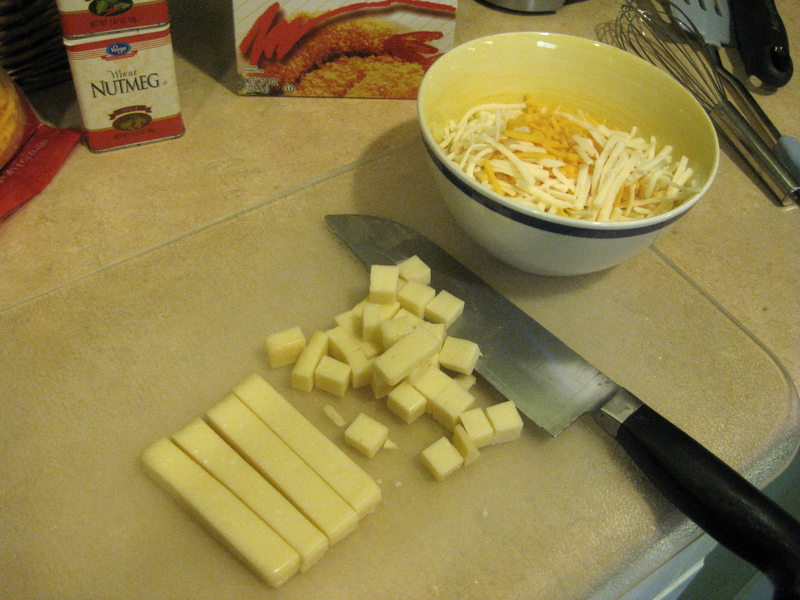 Then add cheeses (except for 1/4 cup of cheddar) and spices. Chop and shred the cheeses so they melt easier. Turn off the heat and stir as cheeses melt. Taste and add salt, if you think you need it. Spray the inside of your casserole dish. 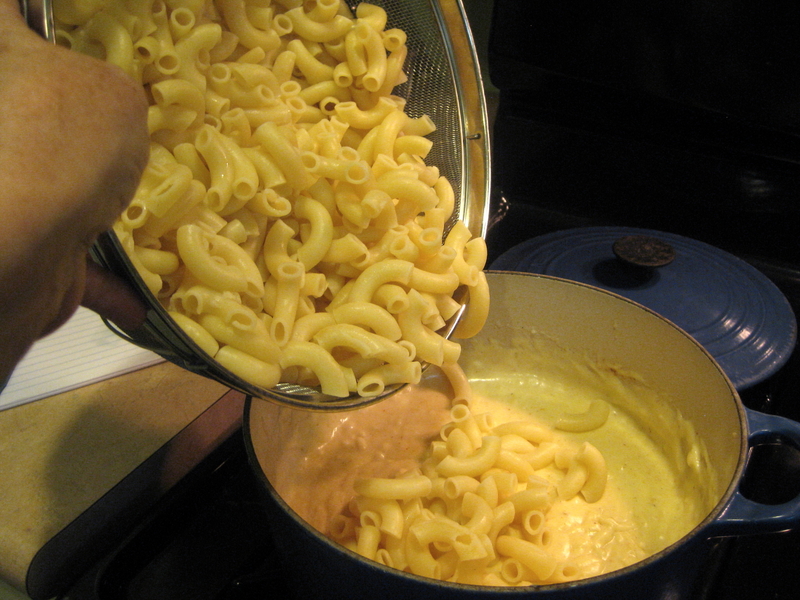 Fold the al dente macaroni into your cheese sauce in the Dutch oven. 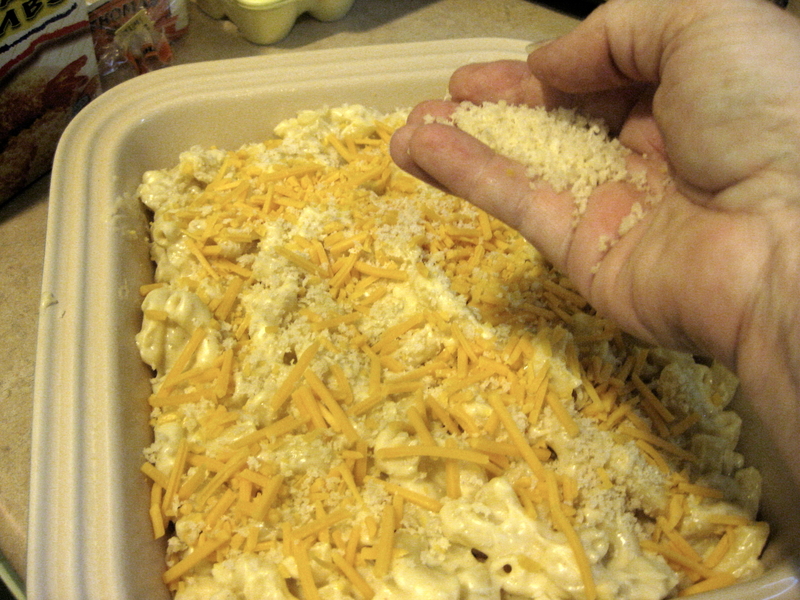 When thoroughly combined, pour into the casserole dish. Evenly distribute in the dish. Sprinkle a tablespoon of bread crumbs across the top, then an extra 1/4 cup grated cheddar, then a teaspoon of bread crumbs to top it off. 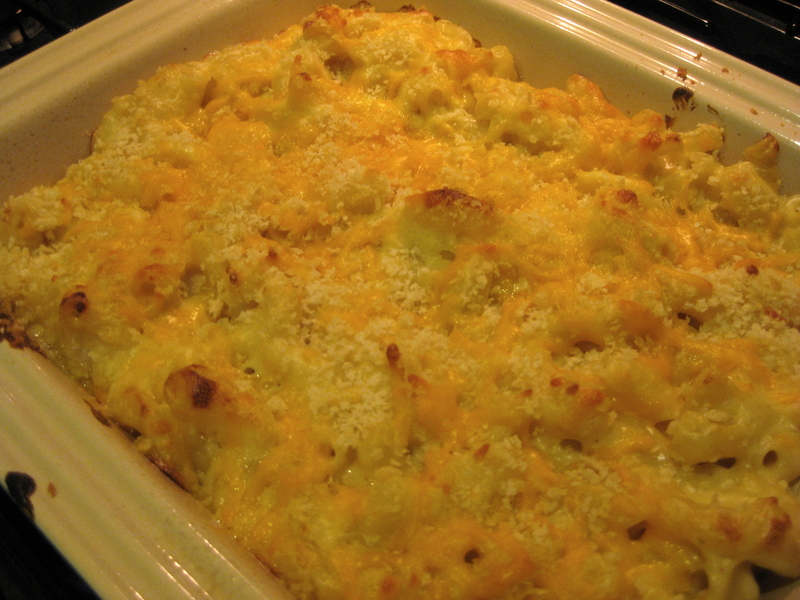 Bake 30 minutes in 375 degree oven until top begins to turn golden brown and macaroni is bubbling hot. Remove from oven, let cool 5 minutes before serving. 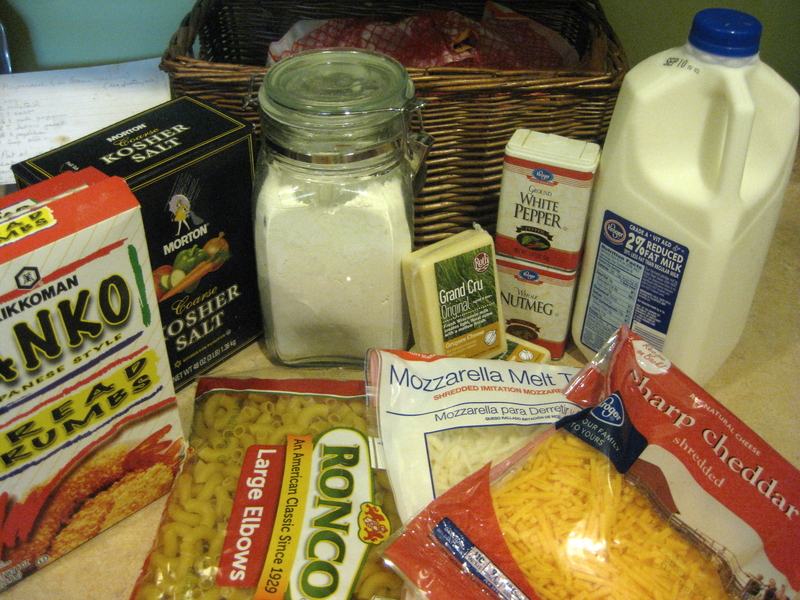 Try other uses for your white roux, milk and melted cheese. For example, if you want to top steamed asparagus, broccoli or cauliflower, half the above recipe. I also use the cream sauce with Monterrey jack then fold in drained & thawed frozen spinach to make great quesadillas on my electric griddle. You’ll also find that making a cheesy cream sauce is much easier to clean up than purely melted cheese. I’m from New Orleans. I’ve lived here my entire life (except for college). I’ve never ever seen baked macaroni like this.